The CoffeeBar Kid talks with Nancy Mike from the Jerry Cans. Nunavut is one of the iciest, arctic most remote places on earth. It's the largest, northernmost, newest and least populous territory in Canada. The local lifestyle, firmly fixed in Inuit traditions and ways of life, rely on remote grocery runs and imports from nearby cities. Among the various prohibition laws, wandering youth and daily struggle to preserve their native culture, one little folk band from Iqaluit, Nunavut's largest city, is making a whole lot of racket. The Jerry Cans are described as part folk, part country, part reggae and part Celtic, with a unique Inuit point of difference – duet throat singing. They are one of the more 'exotic' acts to play at WOMAD in March. Most of their music The Jerry Cans' music is written and sung entirely in Inuktitut. "For me, Inuktitut is my mother tongue," says Mike. "I find that writing and singing in Inuktitut, it's much easier for me to express myself, to express what we're trying to say – the stories we're telling." "It's a combination of square dancing and folk dancing," explains Nancy Mike, the band's resident throat singer and accordion player. "When the Scottish whalers and Missionaries came in the early 1900's, they brought with them their own traditions." "For me, Inuktitut is my mother tongue," says Mike. "I find that writing and singing in Inuktitut, it's much easier for me to express myself, to express what we're trying to say – the stories we're telling." Mike, who helped teach partner and fellow band member Andrew Morrison how to read, write and speak in Inuktitut, believes preservation is paramount for younger Inuit generations. "Audiences can expect to have fun. That's the goal here – to get people up and dancing. When people hear our sound, they're interested. They hear lyrics in Inuktitut and say 'wow, what is that, what do you call that?' they're curious," says Mike. Having visited New Zealand twice before, The Jerry Cans resonate with our little part of the world, just as WOMAD audiences will no doubt resonate with theirs. "We visited Rotorua, beautiful. very special. Hot. Geysers and hot water all the time. Magic. Mind, to be anywhere where it's out of the snow all year is special." 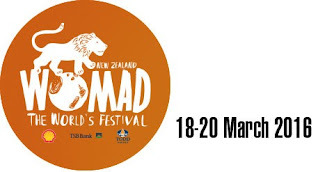 The Jerry Cans are set to perform at the WOMAD Festival 2016, Friday 18 - 20 March, New Plymouth. Kate De Goldi is one of New Zealand’s most loved authors, popular with both adults and children. Quirky humour, playfulness and intergenerational love are at the heart of this adaptation of her 2012 novel, The ACB with Honora Lee. A charming exploration of kindness, patience and acceptance, it follows the relationship between young Perry and her eccentric Gran, Honora Lee, who’s losing her memory. As more and more words slip from Gran’s grasp, Perry furiously gathers them up, turning them into an illustrated and disorderly alphabet book, which becomes a gift of love to her grandmother. The Kid talks with actresses Michele Amas and Amy Tarleton about the show. 47SOUL is an electro-mijwez, shamstep, choubi band. The members are rooted in Bilad Al-Sham, spanning the divides from Amman to the Galilee, the Golan Heights to Ramallah. This new sound of 47SOUL has rapidly amassed fans in the Middle East and Europe by blasting the electric Arabic debka sound through underground music scenes. Overcoming physical and logistical challenges, they came together to play electronic Palestinian street music. 47SOUL writes and performs to speak about freedom of movement, whether that’s sparking new dance styles or singing about breaking down border check points. For the past 2 years the band has based itself between Jordan and the UK, to spread their new wave of Arabic music. Their sound is rooted in Arabic Dabke, the celebration dance music from the Bilad Al-Sham area; the name for the land that spans Syria, Palestine, Lebanon, and Jordan. 47SOUL hypes it up with analog synthesizers, drum machines, epic guitar lines, and tripped-out English and Arabic verses from the four singers. The electronic and urban influence in their music takes them far out of the ‘world music’ context and places them in the genre of a new generation of international electronic/hip hop acts that are reinventing the old for the future. This new sound of 47SOUL is called ShamStep. Calexico is a Tucson, Arizona-based Americana, Tex-Mex, indie rock band. The band's two main members, Joey Burns and John Convertino, first played together in Los Angeles as part of the group Giant Sand. They have recorded a number of albums on Quarterstick Records, while their 2005 EP In the Reins recorded with Iron & Wine has reached the Billboard 200 album charts. Their musical style is influenced by traditional Latin sounds of mariachi, conjunto, cumbia, tejano, as well as country, jazz, and post-rock. The band has been described by some as "desert noir", and is named for the border town of Calexico, California. Diego El Cigala is, quite simply, the most exciting and innovative flamenco singer in the world today. Passionate, profound, and immensely proud of his Spanish gypsy heritage, El Cigala has been called “the Sinatra of flamenco.” His earthy and exultant and richly emotive voice marks him as one of the great singers of the last century. He is also one of those rare crossover artists who has stayed true to his musical heritage yet achieved name recognition with mainstream audiences around the world. Born into a family of flamenco musicians, El Cigala began his solo career in 1997. A mere four years later he was at the Latin Grammys, his Corren Tiempos de Alegríanominated for Best Flamenco CD. That was just the beginning of much bigger things to come, as a small initial collaboration on that CD between El Cigala and legendary Cuban pianist Bebo Valdés led in 2003 to a duo CD, Lágrimas Negras (Black Tears), that became one of the most astonishing breakthroughs in the realm of world music. Aside from winning El Cigala his first Latin Grammy (he now has three), Lágrimas became a huge global hit thanks to a combination of killer live shows, rave reviews, and ecstatic word of mouth. This groundbreaking disc, with its fusion of gypsy fire and complex Cuban rhythms, sold more than a million copies worldwide. Aside from winning numerous awards, the CD was fawned over by Britain’s BBC Radio and hailed “record of the year” by the New York Times. This was unprecedented success for a flamenco singer – and it was to prove just the beginning. El Cigala won his second Latin Grammy in 2006 for Picasso en mis ojos(Picasso in my eyes), which also became a bestseller. Then in 2010 El Cigala travelled to Argentina, land of the tango, to immerse himself in that country’s powerful musical traditions. After merging his own band with two of Argentina’s tango masters – bandoneonist Néstor Marconi and guitarist Juanjo Dominguez – the results were, once again, musical magic. Cigala & Tango won a Latin Grammy for Best Tango, and went on to generate fantastic sales, great reviews, and a sold-out tour that played to more than 160,000 awed fans. El Cigala’s newest recording, 2013’s Romance de la luna Tucuman, offers a fresh take on the Argentinean tango tradition. Notable for the contributions of Mexico’s famed electric guitarist Diego Garcia, known as “The Twanguero” for his embrace of cowboy, Hawaiian, and surf music, Tucuman went on to triumph at the 2013 Latin Grammys, winning El Cigala a third Grammy, his second for Best Tango. It is this landmark CD that will be the focus for El Cigala’s upcoming tours through the United States, Europe, Australia, and South America. Not unlike other exceptional musicians who have transformed their lives through art, Castañeda’s journey has humble, inspiring beginnings. The son of a musician and a mother who nurtured Edmar’s obvious natural talents, he embraced the noble folkloric traditions of his native Colombia. The joropo dance classes he attended with his sister were a masterclass in movement, accompanied by the harp. In the mid-1990s, he moved to New York, and studied jazz trumpet, before returning to the harp. Today, on stages all over the world, it is remarkable how Edmar’s body engulfs his Colombian harp as he crafts almost unbelievable feats of cross- rhythms, layered with chordal nuances to rival even the most celebrated flamenco guitarists, and an incredible blend of musical influences. Edmar Castaneda was born in 1978, in the city of Bogotá, Colombia. 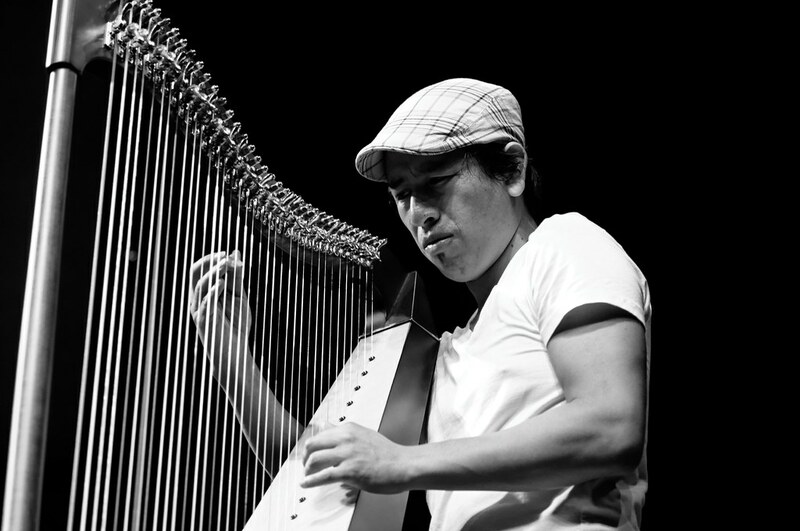 Since his move to the United States in 1994, he has taken New York and the world stage by storm with his virtuosic command of the harp - revolutionizing the way audiences and critics alike consider the instrument. A master of beautifully complex timing, lush colors and dynamic spirit, Edmar has been called “almost a world unto himself” -The New York Times. 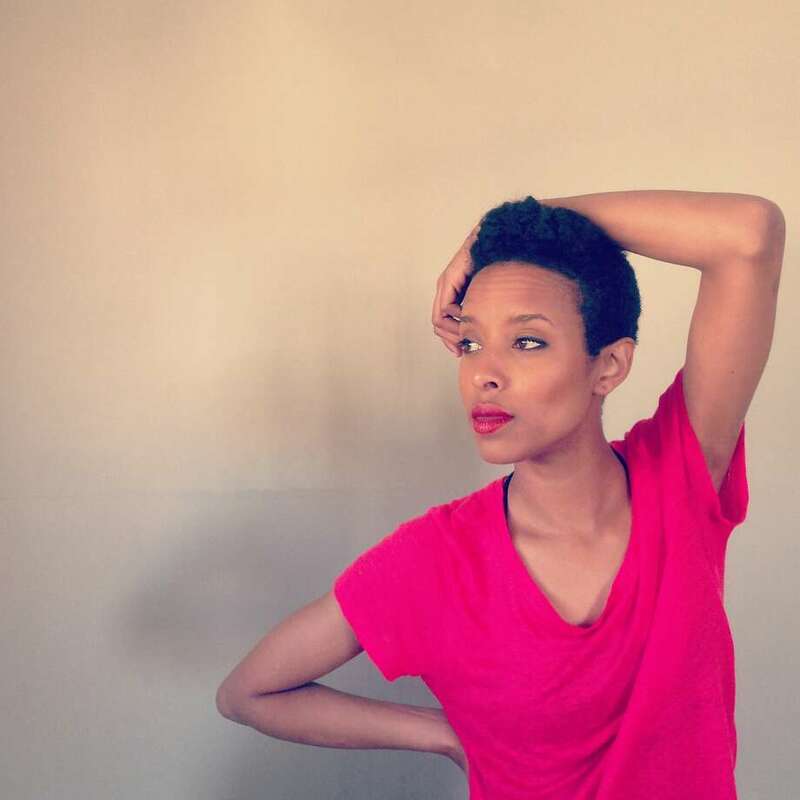 Rada is currently working on her debut album, after releasing her acclaimed first self-written and composed solo EP "Life Happens", which was produced by Israeli producers Kuti (Kutiman/Thru-You) and Sabbo (Soulico), at the beginning of 2013. She gained worldwide popularity on a tour across Europe, the United States and Canada. She has recently performed at the Glastonbury Festival. She performed at the opening act of Alicia Keys' concert in Israel. Her music video "Life Happens" has been broadcast on MTV France, East Europe, and Israel, as well as on VH1 UK. Rada credits Nina Simone, Ella Fitzgerald and Aretha Franklin as her musical influences, alongside Eryka Badu, Lauryn Hill and Jill Scott. Hazmat Modine is a blues/folk/world /jazz musical group from New York. "Hazmat" is a portmanteau of "hazardous material", and "Modine" is the name of a company that manufactures commercial heaters but may be used to refer to the heater itself. 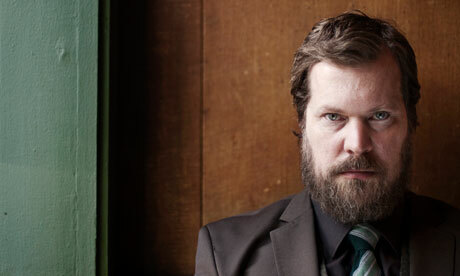 John Grant is an American singer-songwriter. Formerly associated with the Denver-based alternative rock band The Czars in the 1990s and early 2000s, he launched a career as a solo artist in 2010. St Germain is the stage name of Ludovic Navarre, a French musician. His style has been described as being a combination of house and nu jazz music. Navarre's album Boulevard was released in July 1995 and has sold over 1 million copies worldwide. His United States debut, Tourist, was released in 2000 and sold 300,000 copies in the USA and 4 million copies worldwide. Bob Marley, Toots & the Maytals, Miles Davis and Kool and the Gang are among Ludovic's early influences. 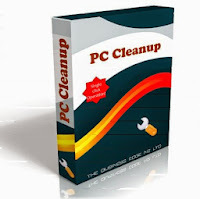 He composed his first work under the name of Sub System with friend Guy Rabiller. He has released EPs under a number of aliases, among them Deepside, LN'S, Modus Vivendi, Nuages and Soofle. St Germain is not associated with the Saint-Germain-des-Prés Café compilation series, though his song "Deep in It" is featured on its "Volume 1". His song "Rose Rouge" was featured in the official movie trailer for Joss Whedon's 2013 Much Ado About Nothing. His eponymous album, released on 9 October 2015, was recorded with the participation of African musicians, the album features traditional Malian instruments such as kora, balafon and n’goni, that mingle with electric guitars, pianos, saxophones and electronic loops. The first single, “Real Blues”, sets the voice of Lightnin’ Hopkins to the beat of wild, fiery drums and percussion. The original single sleeve is decorated with a 3D mask conceived by Urban Art creator Gregos, known for his smiling and frowning faces stuck on walls throughout Paris and Europe. All this month Groove will be playing bar breaks from the CoffeeBar Kid - featuring music and info about some of the artist coming to WOMAD 2016. So far we've done segments on John Grant, St Germain, Ester Rada, Spiro, Seun Kuti and Egypt 80, Tami Neilson, Louis Baker, Orange Blossom, Hazmat Modine. But we'll be makin' more - so keep listening. The CoffeeBar Kid talks to Wade Schuman, harmonica player and founder of Hazmat Modine, the most exciting, original, explosive band you'll ever see! They're a maverick blues/folk/world fusion/jazz band from New York, founded in the late 1990s. Drawing from the rich soil of American music of the 1920s and 30s, right through to the 50s and 60s and blending elements of early blues, hokum jugband, swing, Klezmer, New Orleans R&B and Jamaican rocksteady, the band is fronted by two harmonicas which use call and response, harmony, melody and syncopated interweaving rhythms. The band includes tuba, guitar and percussion, claviola and Hawaaian steel guitar. Hazmat Modine’s sounds reflects musical influences ranging from avant-garde jazz to rockabilly and Western swing, to Middle Eastern, African and Hawaiian musical styles. Of their unusual name, lead singer Wade Schuman says “HAZMAT is an American English word for Hazardous Materials, AKA dangerous materials, you see it on the sides of trucks or special trashcans. MODINE is the brand name for an industrial forced air heater unit, the kind that hangs down in garages and artists’ lofts … the company is in Muncie Indiana … they are both American words, but the sound of them together is rather exotic. People often think HAZMAT is Turkish. I thought Modine sounded a bit like a 1950s rock n roll band.” He also says this is an appropriate name for the band since they "blow a lot of hot air," including harmonicas, tubas and saxophones. New Zealand has never witnessed a multi-layered world music collaboration like this before. John Psathas is no stranger to large-scale works but this is his most ambitious project yet. Featuring 150 musicians from more than 20 countries, including Serj Tankian (Lebanon/Armenia/USA), Meeta Pandit (India) and Márta Sebestyén (Hungary), No Man’s Land brings together the descendants of opposing forces in World War I and reunites them in friendship and musical solidarity on the sites where their grandfathers and great-grandfathers fought a century ago. Director Jasmine Millet and cinematographer Mathew Knight’s film of this epic global orchestra – playing a Psathas composition that leaps musical genres as it does borders, from folk to jazz to rock to classical – will be seen and heard in tandem with a select group of musicians performing live on stage.